Have you ever wondered what ranch life was like in the American West of the 1800’s? 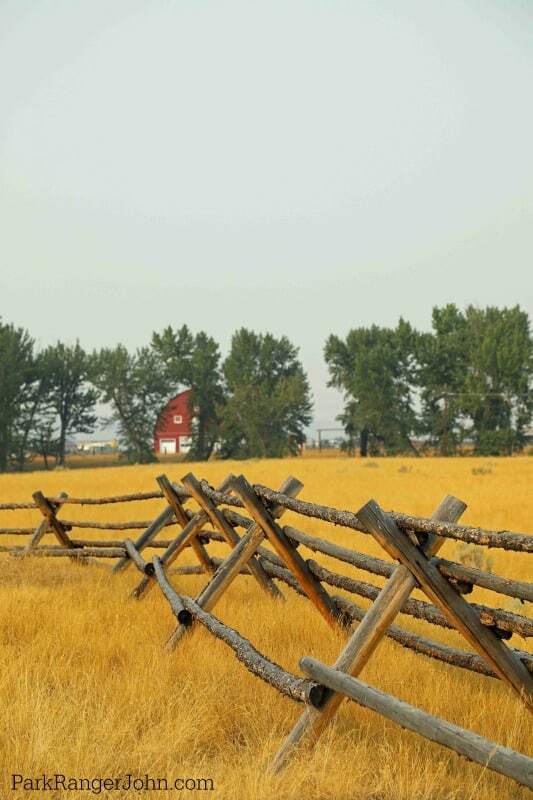 A visit to Grant-Kohrs Ranch National Historic Site gives you the opportunity to step back in time and see what life was like in the frontier days. 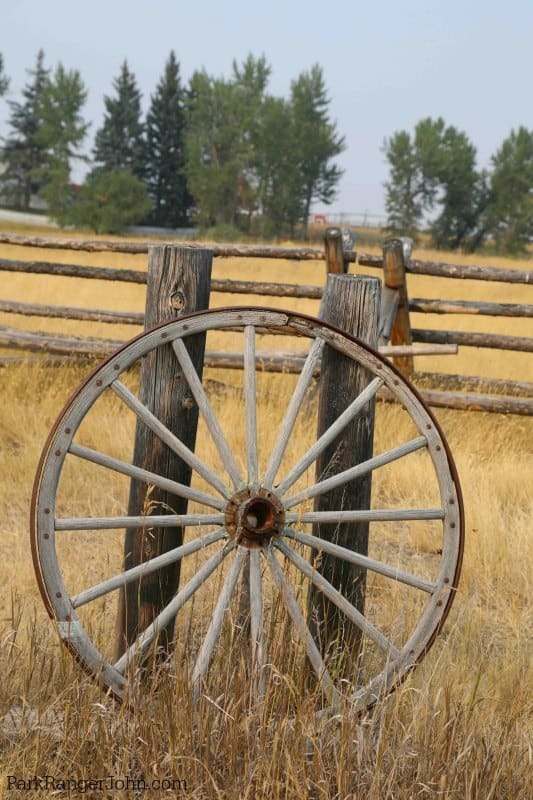 One of the cool things about Grant-Kohrs Ranch is it is still a working ranch to this day! 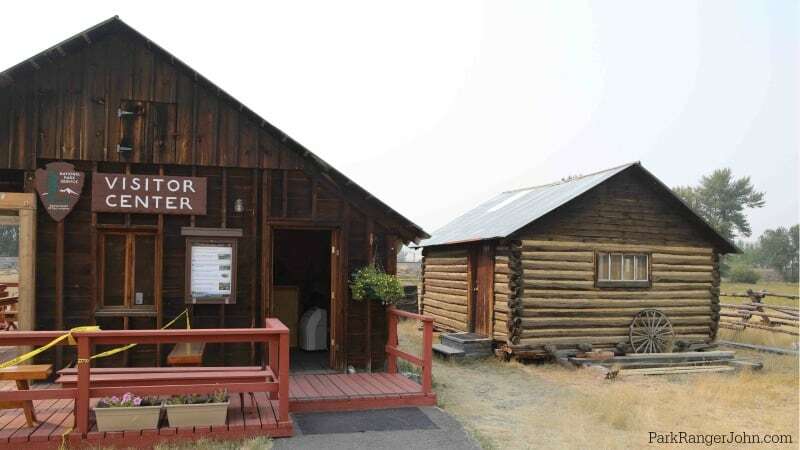 During your visit, you can check out the historic bunkhouse, visitor center, Thoroughbred Barns with historic wagons and buggies, along with other historical buildings. The ranch can be bustling with activity or feel slow depending on the day and season that you visit. Summers are busier and offer the greatest opportunity to see the ranch in action. At times the park has a Blacksmith working, a chuck wagon, ranger walks, western movies and more. This is a park that has a little bit of everything for guests to enjoy. 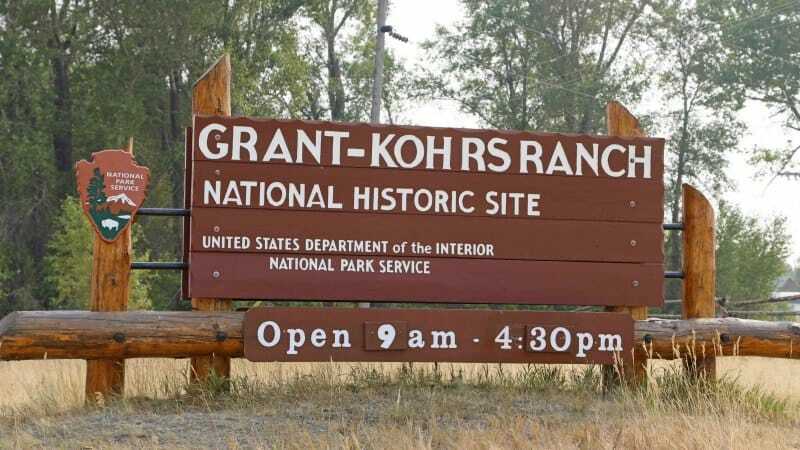 Where is Grant Kohrs Ranch? A French-Canadian fur trader named Johnny Grant established a cattle operation in Deer Lodge Valley in Western Montana in the 1850s. Mr. Grant built a home in 1859 and then a larger home in 1862 while operating several businesses in the area. Grant ended up selling his businesses to Confrad Kohrs after experiencing struggling in communication due to his poor English language skills and racial prejudice against his Indian wives. Conrad Kohrs grew the cattle operation to 50,000 head of cattle that grazed 10 million acres of land over four states and Canada. Kohrs became known as the Cattle King of Montana. He was a true cattle baron. Kohrs ranch was the headquarters of a 10 million acre cattle empire that included vast herds of cattle! Today the Grant-Kohrs NHS focuses on the early cattle operations and commemorates the role of cattlemen in American history. The park includes more than 80 structures including the ranch and its original furnishings. There is also a blacksmith shop, horse barns, cattle sheds, and outbuildings dating as far back as the 1860s. Guided tours are offered during different times of the year. 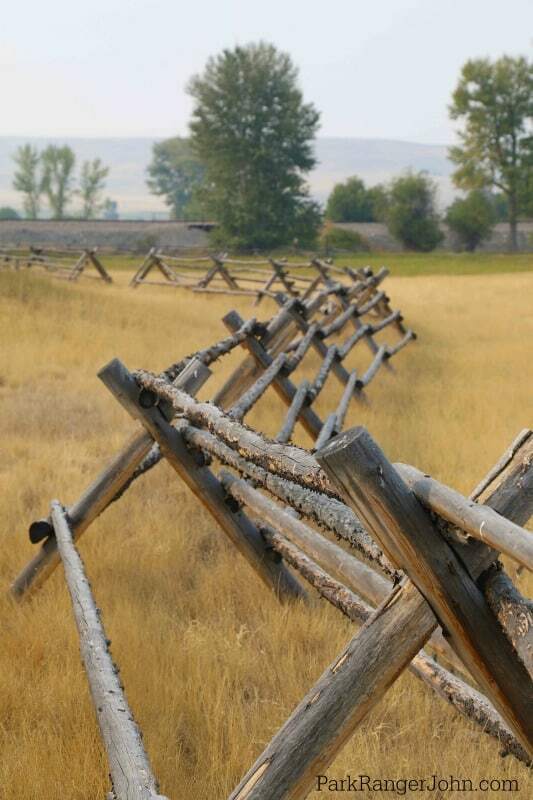 Check out this page on the National Park Service website to see the current tour options. I would love to do the Cowboy Experience tour that is offered during the summer. Reservations are required at least a week in advance for this three-hour tour. The tour takes you out in the ranch to experience life as a cowboy. You get to tour the ranch in a horse-drawn wagon. On Mondays, the park offers both a Collections Tour that visit the more than 35,000 historic items that are from the house at the ranch. Most of these items you can only see during this tour. Also on Mondays in the summer you can take a Wagon Tour of the ranch. These tours are offered to start in June and run until August or September depending on the tour. There is also ranger-led chuck wagon, cowboy, and blacksmith talks that teach you about what it was like to do these jobs on the ranch. Tours are also offered of the ranch house! Make sure and sign up for the tour at the visitor center when you arrive. If you are not at the ranch during tour times don’t worry! There are multiple walking trails around the ranch that give you the chance to explore the area. There are more than seven miles of walking trails including a nature trail that follows Cottonwood Creek to the Clark Fork River. There are also trails that lead to the far pastures for a view of the cattle. 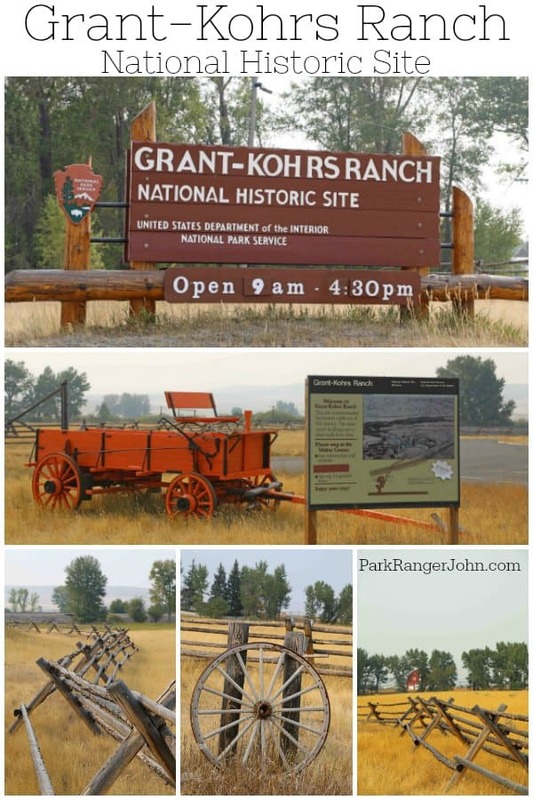 Grant-Kohrs Ranch is located directly off I-90 midway between Yellowstone NP and Glacier NP in Deer Lodge, Montana. 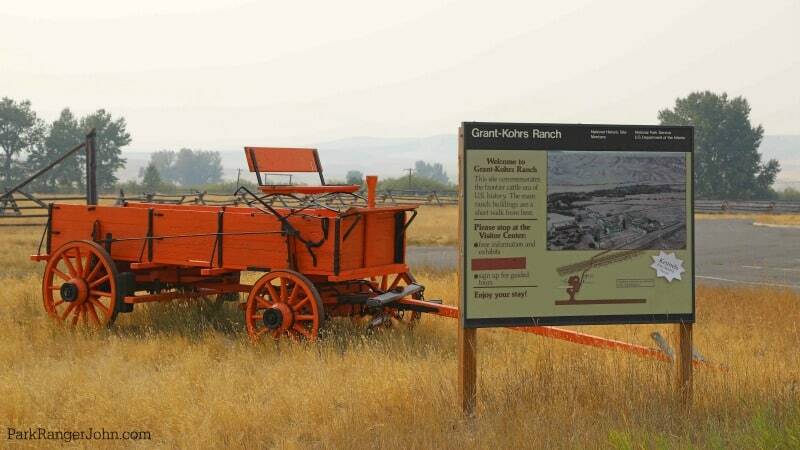 Grant Kohrs Ranch is 1/2 mile from exit 184. The ranch can also be accessed from exit 187. After a short 2 mile drive through the city of Deer Lodge you will see Grant-Kohrs Ranch located at the north end of town. Please know that they do close the gate at either 4:30 or 5:30 pm depending on the time of year you visit. Make sure you give yourself more than enough time to walk around the ranch and be back at your car in time for the gate to be closed. Park Entrance Fee: There is no admission fee or passes needed to visit the park. Are pets allowed at Grant – Kohrs Ranch? Leashed dogs are allowed in the parking lot near the visitor center. Open air kennels are available free of charge on site. Dogs are not allowed in the ranch house or historic buildings. If you need accessible parking there is a parking area closer to the main ranch house. There is a paved path that leads to the main house from the visitor center also.